Despite the fact that we depend on our vision more than any of our other senses to understand and navigate the world, it is also the sense that is the most easily fooled. This has led to the huge popularity of optical illusions that take advantage of the shortcuts and tricks that the brain uses to interpret the data it receives from the eyes. 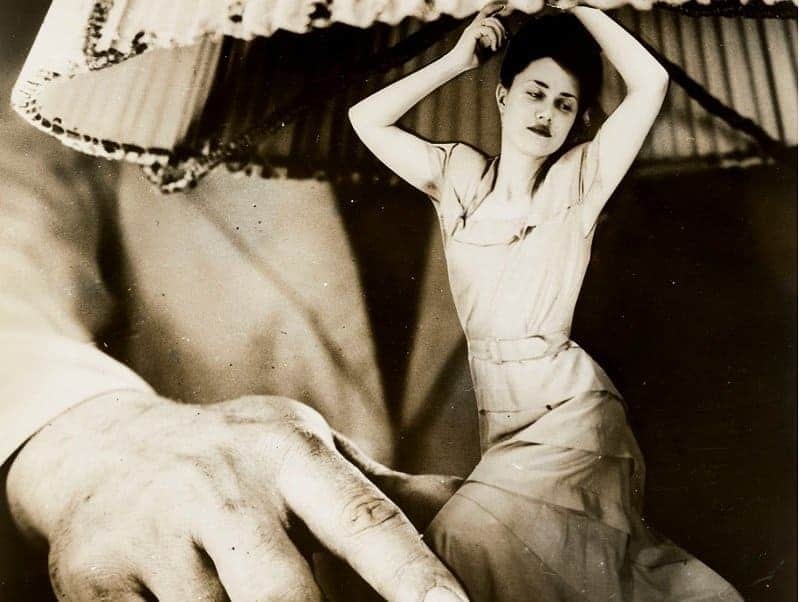 Such illusions are not just something that have originated in modern times either, the advent of photography in the 1800s meant that even those in the past could create strange and sometimes haunting optical illusions. 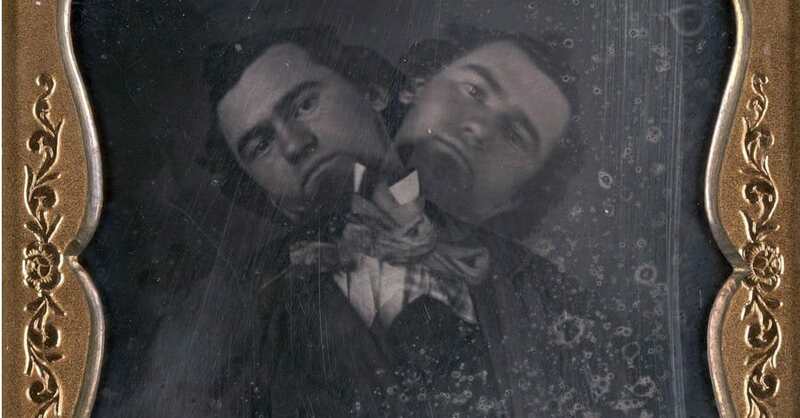 This creepy photograph appears to show a man with two heads, and he doesn’t seem very happy about the situation. 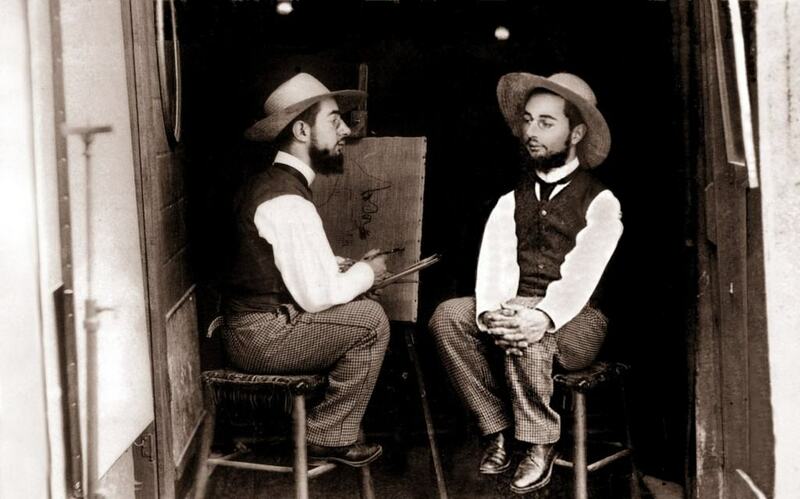 If all artists could do this, it would make self-portraits far easier to paint. 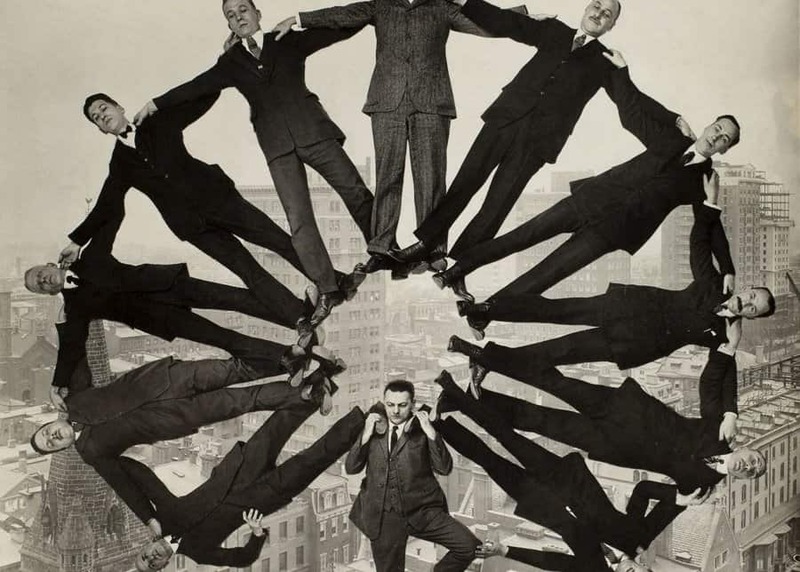 It takes careful balance and excellent strength to pull this off, especially when wearing a full suit. 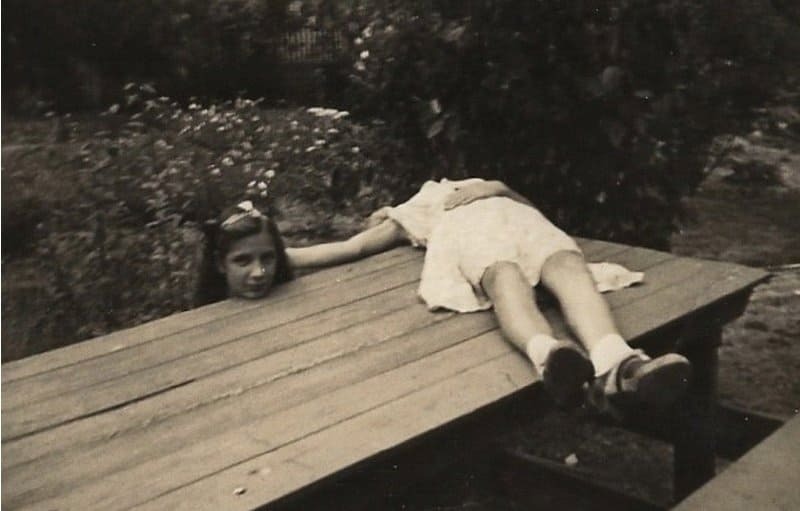 Horsemanning became popular in the early 1900s, which involved taking editing photographs to make it appear as if your head had detached from your body. 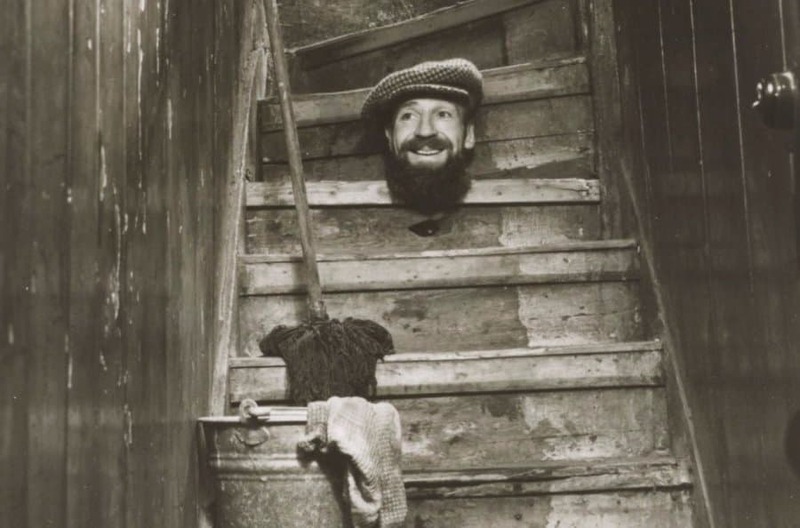 It can be difficult to carry out your cleaning duties when you don’t have any arms or legs, but it’s important to remain happy in work regardless. A very fancy lamp that includes a stand made of a supposed tiny woman. 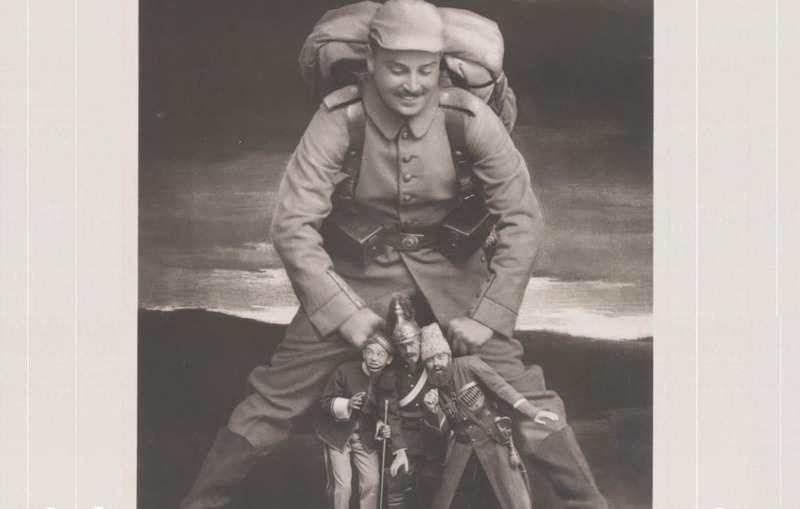 This rather large solider would probably be very useful in a fight. 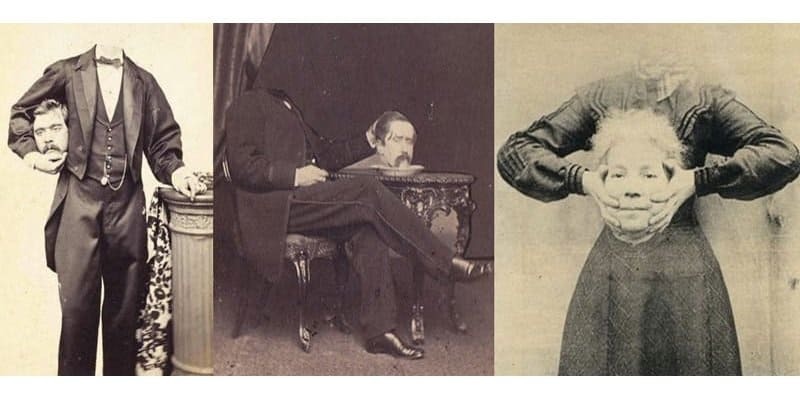 A more extreme version of horsemanning actually saw people appearing to hold their heads in their hands. 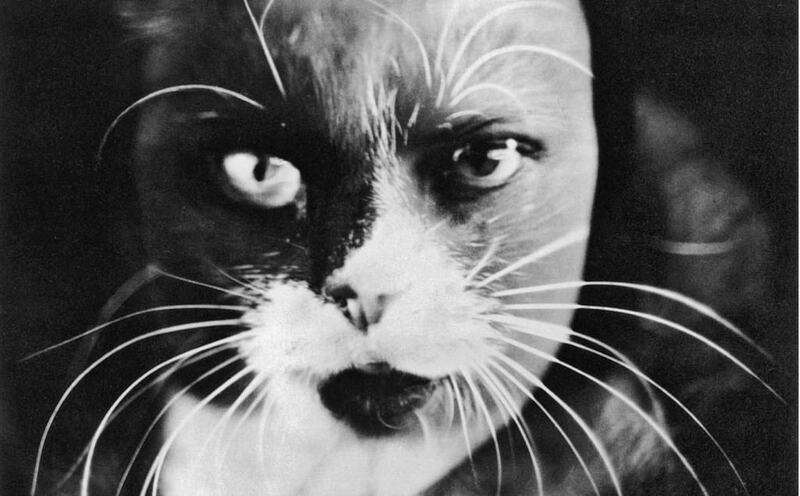 It’s little wonder that DC Comics decided to go in a different direction for their version of Catwomen, as this interpretation is a little on the creepy side. 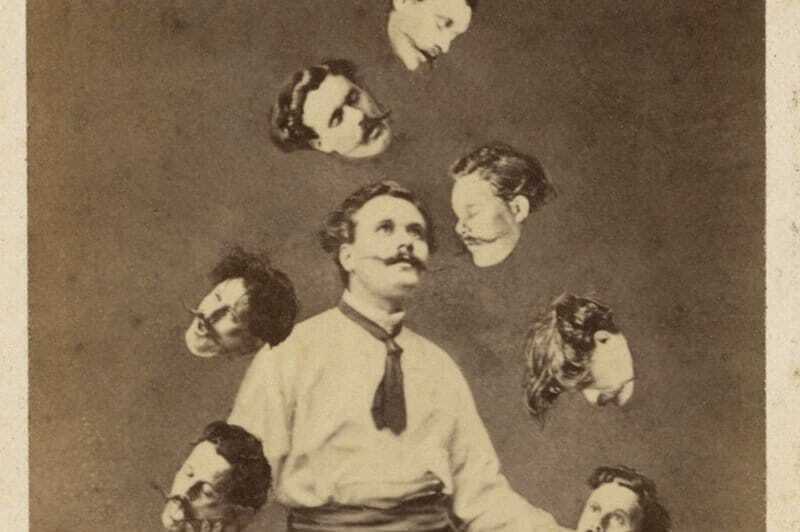 Juggling can be pretty impressive at the best of times but doing it with a collection of heads is even more so.